Sixty distilleries, hundreds of miles, one day – and a whole hoard of whisky. “And they called us mad,” said Willie Wallace, pulling in to the Aberfeldy distillery. Even Willie, who has been running whisky tours in Scotland for 20 years, is letting on a sense of relief, knowing that things might not have worked out as well as they did. We’d been on the road for 17 hours, and in that time we’d visited 59 distilleries. Aberfeldy is the sixtieth and final. Charting several hundred miles of Scotland’s Highlands and Speyside from sunrise over the Moray Firth to sundown in rural Perthshire, The Great Whisky Distillery Challenge Team set a new record for the most distilleries visited in one day. And that’s not all: en route we amassed a unique (and frankly massive) collection of 55 bottles of whisky, which was raffled in aid of international water development Just a Drop (see below for the full bottle list). As whisky enthusiasts we know the importance of water to ‘the water of life’, but to many people around the world water really does mean life – and so we knew that this was a charity deserving of our full support. Almost £11,000 was raised – enough to support an entire community in Zambia with access to clean, safe water and sanitation. Thanks to all who followed on social media on the day, and to all involved in supporting the event! And congratulations, of course, to Mike Jackson, the lucky winner of The Collection! 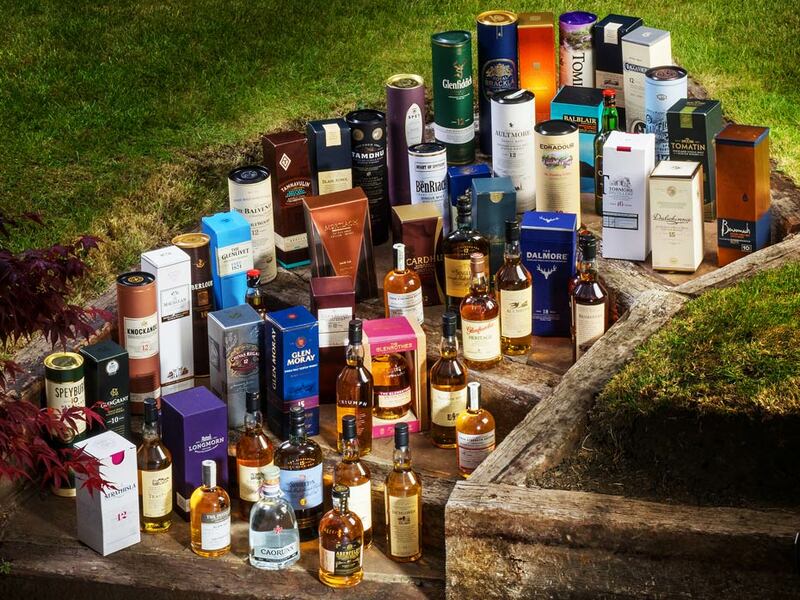 Keep an eye out on the new competition section on our website for more whisky to be won over the coming months.